Help school children survive a school shooting. We can't stop school shootings, but we can stop them sooner. Be one of the 50 schools. Our crowdfunding campaign on Indiegogo is now live! It takes emergency response teams 18 minutes to arrive at the scene of an active shooting event. Yet active shooting events only last 12.5 minutes on average. "Early Response to Active Shooter Events" (E.R.A.S.E.) is an ambitious crowdfunding campaign launching on November 12, 2015 on Indiegogo that aims to raise contributions to fund the installation of lifesaving Guardian technology in the main entrances of 50 schools, one in each of the 50 states. Guardian effectively "erases" emergency response times down from 18 minutes to 2. Erase time. Save lives. You can help. Photo: Actual drill in Methuen, MA, with an installed Guardian system. Special Response Team arrives at the scene in nearly 2 minutes. "Did I just hear a gunshot?" The 18:00 response delay is no one's fault. It's due to lack of information, the inherent chaos and inability for someone at the scene to call 911, human uncertainty as to what they just heard, and many other factors. Guardian technology reduces the emergency response time from 18 minutes to just a few. That saves lives. But it's not just the emergency response teams that get notified. It notifies the school's leadership, administration, and teachers immediately so they know a shot was fired and exactly where it was fired within the school. Many schools currently utilize active shooter training programs that teach "Run, Hide, Fight." Guardian's immediate and factual information initiates these procedures with teachers and school officials much more quickly, saving lives. The location of the shooter is instantly pinpointed and sent to the police. That's because Guardian “hears” and “sees” gunshots using sound and infrared technology and notifies law enforcement and school officials immediately and automatically using the Internet. It provides not only a notification, but a graphic of the school’s layout with the shooter’s location pinpointed. Response time is reduced from 18 minutes to just a few. Guardian Indoor Gunshot Detection system incorporates the world’s finest acoustic gunshot detection software and combines it with infrared gunfire flash detector to produce the most capable indoor gunshot detection system available today. The system’s dual modality provides the highest rate of detection while bringing the number of potential false alerts to zero. And this is not just a "drawing board" idea or a prototype. We know Guardian works. Guardian is already erasing time in a handful of schools and public buildings. Over $45 million dollars of research and development has been invested by the US Government and a defense contractor to mature this capability. The technology has saved the lives of countless military men and women overseas. We have repurposed that military grade technology specifically for a school environment. The Guardian devices are barely visible to teachers and children walking by them in the halls - no more visible than a fire alarm. "Was that a gunshot?" The Guardian sensor must see and hear both the IR and acoustic waves to declare a shot alert. To date there has not been a false alarm. Many corporations and public venues have installed the system but only a handful of schools due to budgetary issues. It just takes too long to get this lifesaving technology installed in schools. That's why we're doing this "Early Response To Active Shooter Events" crowdfunding campaign. It's an important start. Contribute to our crowdfunding campaign on November 12th and you will help us erase precious response time and save lives. 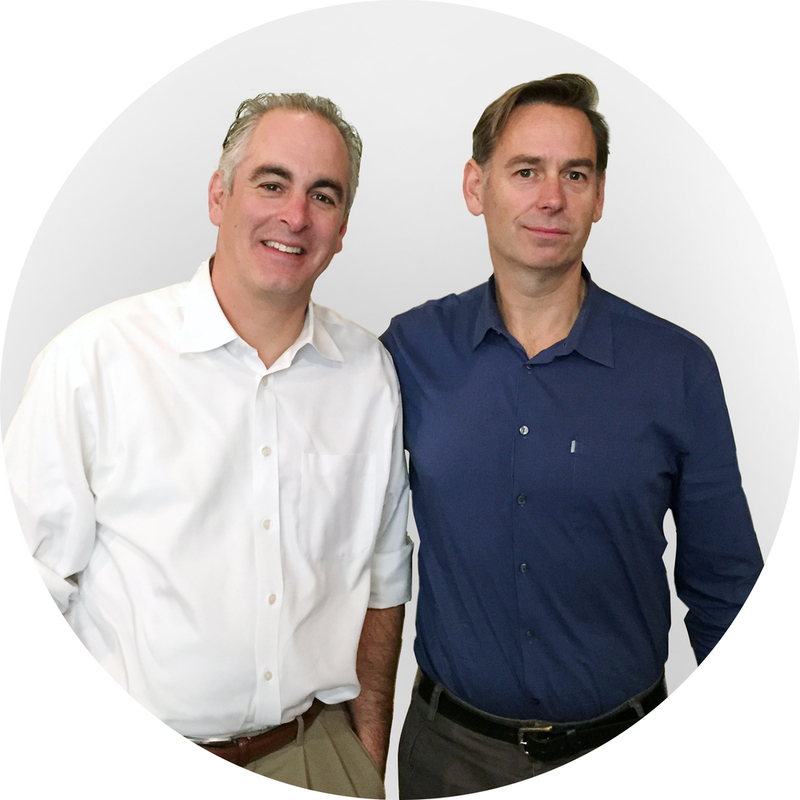 Greg and Chris have come together to get lifesaving Guardian technology installed in 50 schools across America. Chris and Greg were introduced by a mutual friend, one who knew they had something in common: the belief that active shooting incidents in schools was the issue of our time. The result of that meeting is the "Early Response To Active Shooter Events" (E.R.A.S.E.) crowdfunding campaign designed to raise small amounts of money from many concerned people and install Shooter Detection System's (SDS) lifesaving Guardian technology in 50 schools, one in each of the 50 states. Chris has agreed to offer up the 50 Guardian systems at cost, meaning zero profit to the company. 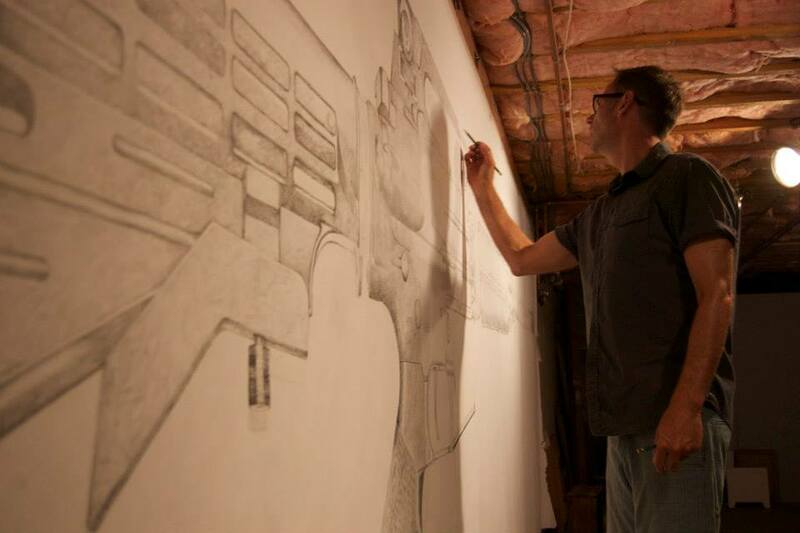 Mr. Bokor has agreed to recreate his incredibly moving “ERASE” art installation at a gala event following the crowdfunding campaign that many of our contributors will be able to attend via Indiegogo's crowdfunding "perks." Our goal: To raise over $1,000,000 to have Guardian in 50 schools, one in each of the 50 states (roughly $20,000 per school). We told you it was ambitious. And we can't do it without your support starting on November 9, 2015. We chose 50 schools in 50 states as our goal to emphasize that gun violence is truly a national problem requiring national attention. If we are successful, one school in every state will be protected with Guardian technology. Your contributions to the “Early Response to Active Shooter Events” campaign, no matter where you are from, will go towards the installation of Guardian Active Shooter Detection Systems in those 50 schools. But if yours is the district that raises the most contributions in your state, then your school district will be awarded the prized technology. After that, it will be up to your superintendent to decide which school will get Guardian installed. Stay tuned to this campaign page and to our Facebook page for more details on how to make your school district one of the 50. Meet the team behind this campaign. Chris has spent his career helping create lifesaving technology companies. He is the father of two K-12 age children, wakes up at 4:30 a.m. on the weekends to drive to hockey rinks and is married to former County Superior Court criminal prosecutor Jessica, and therefore has never won a single argument in their 19 years of marriage. Greg has had a storied and award-winning career as an advertising creative director. He is also a fine artist, most famously with his "Erase" art installation. He just recently celebrated his 25th anniversary with his wife Jacqueline and has three beautiful children that are his life and his muse. ERASE was a participatory memorial art installation launched in September, 2013 at the ArtPrize festival in Grand Rapids, MI. 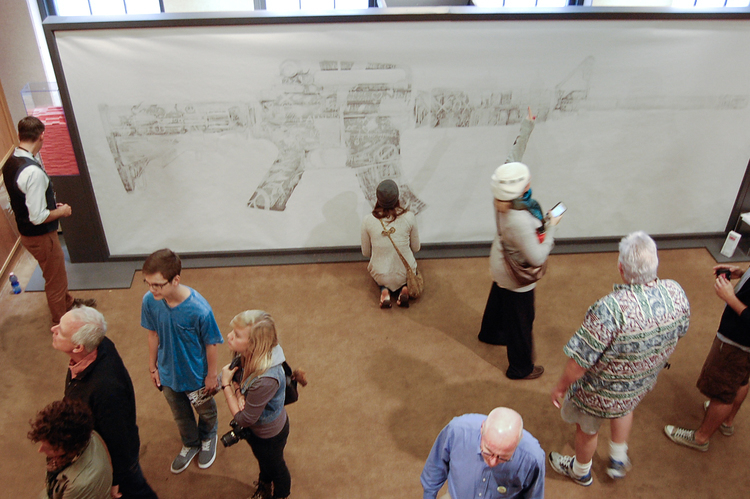 It started with the hand-drawing of a 20ft long AR-15 rifle and ended with exhibit participants erasing pieces of the rifle. Each eraser was hand-stamped with the name and age of a victim from the Columbine, Virginia Tech, Aurora and Newtown massacres. The recreation of this art installation will provide our crowdfunding campaign with a very powerful and quite relevant emotional experience. Tickets to the event will be available as one of our “perks” on Indiegogo.